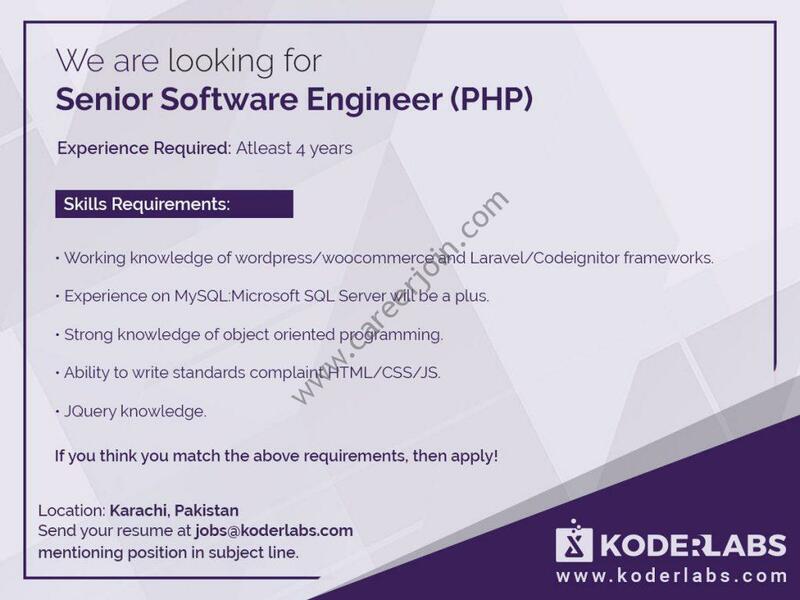 KoderLabs Jobs Senior Software Engineer (PHP):An exceptionally sharp mind, years of experience and devotion towards work are the qualities that make a perfect resource! Flexible working hours and much more! If you have the following skill set then send us your resume now at [email protected] mentioning “Senior Software Engineer (PHP)” in the subject line.